On July 21st I received a new game request on WWF from katejames107. He asked right away for my email address but told him I preferred to stay with chat on WWF for now. He claims to be from the US Army serving now with the UN Peacekeeping Mission in Afghanistan. Says his wife died 6 years ago and he is a sad man but realizes he must move on, he has a 14 year old lovely daughter who now lives in Belgium with a guardian. Says he will return to South Carolina where he has a 4 bedroom duplex. He tells me things like we were meant to be together, etc., etc., etc. with no encouragement from me. Answers to many questions are vague and worded weird with lots of typos. Then after game play and chat for a week, he asks for a favor... it seems his daughter lost her master card and would I send her money via her guardian using western union or money gram and send him the slip so her guardian could pick it up for his daughter? After telling him I would not be sending any money, he was pleading saying he was crying. I asked for her full name, her guardian's name and address. He wanted money to be sent to Nadine Leona Logghe in Veurne, Belgium. After he asked for money I started googling scam info sites, and there was a different picture of the very same man warning of what they called a military romance scam dating beck to 2010. I have also met another very nice man who has turned out to be a good friend for almost 3 years now. So, please be careful! Appreciate the report, @dianebeckley. You may report and block this user so he won't send you game invites and Chat messages. For more details, click here. Same thing happened to me someone using the name of Owen Loyd, saying he was a widower with a young daughter, looking for a fast moving relationship and motherly figure for the daughter. Asking me to download What's app or Hang out!! Also stating he worked for the military. I see he is also still playing, don't want anyone to fall victim to his game. Can he be blocked out? Although I am sure he will just pop up under another name!! Players Beware!!! For your convenience, @lauraS. We suggest to report or block this player. Please click here to walk you through. Thanks. I have also experienced a similar story by a person impersonating to be an American Soldier named Rob Silvas. Claims to have been top of his class at west point but English is very broken, stories vague and trying to escalate the chat to something to romantic. Claims he needs to send $ to his daughter in the states but all his immediate relatives are deceased. Simultaneous I received games and chat attempts from two other men "working on oil rigs". Crazy! I've had creepy men try to chat with me before but the rampant scams are new. I've also met some great people. Beware folks! Thanks for bringing this up. We're doing our best in making the game fun and enjoyable. For these abusive and suspicious users, don't hesitate to report them by sending an e-mail to [email protected]. You may also block them in-game so they won't send you invites and Chat messages. My soldier was Major George Patton, stationed in Syria. Wife died 5 yrs ago. Has 15 yr old. son lives with his nanny in Alpharetta, Georgia. Retiring in a month. Is 62. His word usage and sentence structure told me he didn't always live in Ga. as he claimed or ever. He says he couldnt have Skype or video chat. A lot of his questions and answers sounded like he had inserted them like copy pasted from somewhere else. Wanted to chat on hangouts. The pictures of him looked like he and three other guys in the picture were somewhere like Syria, but they including George looked Russian. About the same time he had started talking to me a Terry Kings ( Terrykings342) started talking to me and says he's from Houston, designed a pipeline, widowed 4 yrs ago, and has a young daughter. He did disappear during Harvey but showed up again at the beginning of this week. He wanted to go out on a date. I live in Ar. I suggested we get to know each other before we made a long drive. I started asking questions and he wants my email, he wants to send me something. He sends me a list of questions. About 15 q/a. It has his answers and wants mine. The problem is George Patton has used these exact questions and answers, word for word. Just in conversation not a list. I began to wonder if they were working from a team of scammers. I don't talk to either after that. Neither asked for money, I still don't know what their endgame was. These are the first two I have encountered. What kind of relationship you looking for? Am Looking for One Woman to spend the rest of my life with i mean one woman for the last time and my last relationship, I am very much ready to give it my very best just to make sure it works out , And i would want her "Maybe You" to do the same. I believe two heads are better than one , Someone loving, understanding, caring, loyal, honest someone who believe it take's two to work everything out, someone who would love me like i love her and i will welcome her all package. Are you a patient or impatient person, slow or quick to anger? Slow or quick to forgive? I am a patient person, but sometimes my emotions get on the way, when it comes to me facing a relationship. I will want to look into her eyes and tell her i love you ( Smiles) I have never been know by causing problems. I love happiness and trying to stay peaceful all my life is one of my motto and tick for life. Do you like flowers? What type? Yes I absolutely love flowers of all kinds, like Roses, my favorite flowers are a mixed spring bouquet with several different kinds of flowers and different colors, but mostly purples and pinks. I love flowers outside in the garden, to smell them and to look at them. I also like glass flowers. I have a big yard you are welcome to bring your flowers and vegetables if you love the nature. I have a garden for herds. What are the things you are passionate about ? What are you like around new people, Do you tend to be shy and quiet or very outgoing and friendly or reserved but warm up quickly?Honestly i know i can be kind of quiet and reserved sometimes but am generally very friendly, warm, outgoing. I enjoy meeting new people. What kind of comedy do you enjoy? I love off-beat / foreign movies Very partial to Science-fiction / Romantic , Comedy, Fantasy and Thrillers movies. Masculine and dependable, Creative and artistic. I think laughter is extremely important, you should laugh every day. I enjoy going to a good comedy show-but I prefer it if it is not too vulgar. Some of the best comedians I have seen, just talk about life and their experiences. I think it is good to be able to laugh at ourselves. Life is much too short to take everything seriously. Being single never stop you from being happy. But it makes you see this world in another perspective, sometime you need someone to talk to and be around and share all your day and events with and cuddle with. Sometimes it seem you have missed a part of yourself around the world. I treat her with respect,loyalty,adore her,treat her like a queen and make sure i always make her smile. I need a woman because I believe it is natural to have someone shoulder to leap to. And so natural not to live in this world alone. Loneliness kill fasten than bullet. (smiles) but am honest about it try me. Public intimacy is my thing.I miss that though.I like to hold arms together and maybe when we are standing at the beach i like to kiss or put a kiss on the forehead each time i realize how lucky i am to have found you, it's fun I guess. I hope this tell you more about myself and also you have to see i love to write too,( smiles) I will wait to read from you and please when you are less busy give me a responds to my question. I have a story as well.. His name is William Perry, his wife died 6 years ago and he has a 14 year old daughter named "Hannah" he says he lives in New York Manhattan and he just moved there a few weeks ago and that soon his daughter will join him after he settles down and gets his business of the ground.. Does anyone want to take a guess what his business entails ? You may have guessed it, it's his oil company and he is working with the Chinese people. As of today he is meeting with many of his clients and they offered to send him to Anchorage Alaska where he will be there for a month ... I can go on and on about all the **** he told me.. I'm not a stupid person by no means. I started to figure things out for myself like his grammer and the stuff he would say to me, he would get upset if I didn't respond the same way. We actually spoke on the phone a couple of times, he was very hard to understand " Oh did I mention he came from Manchester England "that's where he stays" He's not from the UK but he was Born and raised in Denmark, stupid **** doesn't even know where he really lives cuz I could sworn he said he lives in New York Manhattan .. Anyways long story short he asked me to buy some iTune gift cards I told him no absolutely not, he begged and pleated with me to do so because if I didn't I wouldn't be able to talk or text him until he got back home .. He asked again I told him no and some other few choice words, I told him he was fake, a scam artist, a lier, and there was no way I was going to send him any kind of money, I called his **** out and guess what ... Silence .... I haven't heard from him since ... WHAT A SURPRISE !!! All you ladies out there please be careful who ur talking to and whatever you do don't give them ur phone number or send any pics because they can always use them in the future portraying as a woman..
Oh my gosh! I've had this happen twice to me recently. One was a Torres Bryan working on an oil rig. Widowed. Daughter, Diana 16. In bordering school in Missouri. We did exchange emails and talked on the phone multiple times. The questions from ottermom above are the Exact same questions And answers he gave me. I thought it was real. He did ask for money for his daughter and I stupidly sent some, but then the requests were getting larger and larger. The other crazy thing is that he claimed to be Christian, talked about God being important in his life etc. When his requests for money started increasing, my sister in law started researching more and that's when we found it was a scam with a pattern. My second guy was Warren Scott Cornelius. Said he was in the military. We just chatted for awhile but then all of a sudden he needed me to help him pay the bill for his storage unit. He said he would send me money first, but then my sister in law found the info on money laundering. He claimed I was the Only friend he had who could help him out. I was smarter by this point though. Pictures of him were of a good looking Caucasian man but I had talked to him on the phone and he sounded Hispanic. Just didn't match! Thank you for sharing this to us, @GinnyCarter. Our main focus is making the game enjoyable and fun. For these suspicious player, you may block them in-game so they won't send you invites and Chat messages. Please refer to this article: How do I manage unwanted game/opponents? for your guidance. Have a great day! I had the same person chat with me as Ottermom. Asked the same questions, same bio but his name was Major Wayne Dore. Beware. I fell for it but no money asked for. Just embarrassed that I was sucked in. I am a recent widow and I guess it felt good to have someone care about me again. From now on it is up front and in person - never ever again on line for me. Thank you for sharing your sentiment. If the same situation arise again, please don't hesitate to report this suspicious player to [email protected] or block them to avoid getting a Chat message or invites in-game. Thanks. With all due respect, I don't think that's actually going to solve the problem. The offenders will only create another account and continue their pursuit. In my opinion this issue needs to be addressed more aggressively. It's seriously harming your customers. This has also happened to me!! Same, widowed 4 years ago, 14 year old daughter, now he's out of the country in Dubai. Spelling is weird. Said he grew up in Poland with his dad, parents divorced. I don't want to visit, just play the game. If I delete him he keeps coming back on. His facebook bio says he's engaged and his words bio says he plays in 4 languages. Ugh! Thank you for sharing this with us. You may report this suspicious player to [email protected]. Have a great day. I have just joined this discussion for the same reasons. I have been playing Words with Friends for a few years and only recently have had many guys challenge me to play. I usually decline and then they do not ask again but one called Eric Johnson was very persistent. His chat line similar to many of these other posts. He says he is in Kabul Afghanistan - peace keeping mission from the States. Wife died of cancer and has a 14 year old son called Kelvin in Nigeria at a boarding school. Reason he is there is because his deceased wife was from Africa. He is now asking for money for his son's birthday. I suspected him from the start when he told me he loved me. He also says he is a religious good living man. I contacted a Scam sight and sure enough his pics came up. I feel so sorry for the innocent peoples identity these scammers are abusing. So please beware. I have blocked him now!!! Couple days ago, a user name Joe Dunford invited me to play, and immediately began chatting. Said he was from Boston, MA but is on a peacekeeping mission in Kabul, soon to retire. I said "Oh, stay safe, thank you for your service." He replies he would like to become friends. (??? I am here to play scrabble dude!) Anyway I said "Sure but I am married, just so you know." He immediately resigned the game. Hours later, a user Jesse Brown Daniel invites me to play. Says he is from Netherlands on peacekeeping mission in Kabul, Afganistan... Really? Another one? He says his wife died 6 years ago and he has a 14 yr old son, Stephen. Now he wants me to add him to google hangouts so we can share pictures, video chat, etc. The coincidence of two people in one day on a peacekeeping mission in Afganistan wanting to get chummy with me caused me to google this issue and I found this thread. Stories so similar. Really bizarre. I commented a month ago. Since then I have had at least 20 of these jerks challenge me in WWF. Now I accept the challenge and when the as me what my marital status is, they all ask this way, I tell them none of their business and tell them I know what they are. They resigned but one. Oh my, I've been getting these also. They all call me "My Dear" right from the start and they all are widowed with a 13 or 14 year old child living either with the grandmother or a nanny. Their English is awful. I figure they use some program to translate to English and it doesn't work very well. When I tell them I am married they pretty much end playing. I wish we could look at their stats before accepting a game with them. Legit players have several games and decent word averages. These jokers have hardly any games or wins. Beware of Louis Reed....oil rig contractor in the gulf of mexico. .lost his wife five years ago of cancer and has 11 year old daughter named Lois. And.. get th u s.."Mark Godsend"..military romance scammer. Both scammers. @MBR When you report them to [email protected] make sure you include their username, not their real name as there may be legit people with the same real name. The same just happened to me. Asked me to play on WWF with I started. Then wanted me to download Hang it so we could chat. He goes by the name Major Wayne Dore now from Altanta, Georgia with a 14 year old son name David. Been a widower for 5 years and is so lonely. Been over in Syria for a year on a Peace Keeping Mission and soon to retire. I decided to Google him today and glad that I did. Only wasted 3 days chatting. Too bad people are like this. They pray on the lonely and know exactly what to say. I rarely accept requests to play on WWF but decided to with this guy. I'll be more careful in the future. Glad people are making these posts so we know who to watch out for. I had someone message me on WWF who is a Micheal Dotson wanting to chat, asked me to go to app Hangouts so we could talk more which I stupidly did. Nicely chatting everyday for a week then alarm bells rang when he started saying he loved me & wanted to marry me! We did have some nice conversations but sometimes I thought his English odd - he said he was from Malta so thought that was the reason. He was a commanding Officer on a peacekeeping mission in Syria, had one daughter and was divorced. Kept on going off to ‘the rig’ which turns out to be the oilrig. Then suddenly he wants to talk to me on a phone so asks me to send him $210 - which is about £150, I obviously said I didn’t have it, he kept on going on & on but I wouldn’t give in so he has stopped messaging me. I feel such an **** to have fallen for this. Thanks for bringing this to our attention, @Indy1945 and @Pinney_17, for these suspicious users, don't hesitate to report them by sending an e-mail to [email protected] or block them in-game so they won't be able send game invites or receive Chat messages. You may also check this article to know more about safety and security in the game. @Pinney_17 I'm so glad you didn't lose any money to this idi0t. Your IP address says you are in Africa, why are you lying about being in America? Also.. I'm sorry you have been widowed and that you need a loan of money to get home. Have you tried swimming? Also watch out for a guy named mikeo.fun. He is a scammer as well. I played along to see what his game was. About six weeks into he started asking to send money. HE didn't get any, but they are out in full force. People beware. Goes by Michael Oesterling. I have been playing WWF for years and the took a break, now I’m back and apparently it’s become a dating app, except all guys are widowed and serving in the army. I get hit up at least once a day with a new one. They all start off by talking about god, soulmates, relationships, life goals, etc. I know better than to continue the conversations outside of WWF but everyone BE CAREFUL out there! Not to say you should not be very cautious in advancing relationships with WWF players ... BUT my brother-in-law (who is a great guy) is a divorced government engineer with a young child who hoped to maybe meet some people through this game. 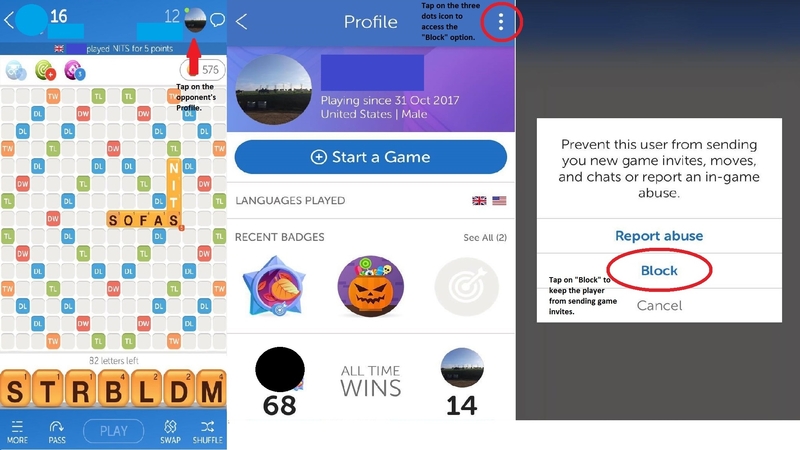 SO, be cautious, but realize there may be some non-scamming government “engineers” with a child playing this game who are completely legit!